Since leaving his native Knocknagoshel, Co. Kerry as an 18-year-old in 1996, Mort Reidy has done well for himself in London in business and sporting terms. When he's not running a large construction company with his Tipperary-born business partner Patrick O'Leary, the husband and father-of-two likes nothing better than spending his time in Mill Hill, which is the home of St. Kiernan's GFC. Mort is in his second year as secretary of the north-west London-based club, which he joined as a player in 2001. Before taking up his current role, he served four years as treasurer. 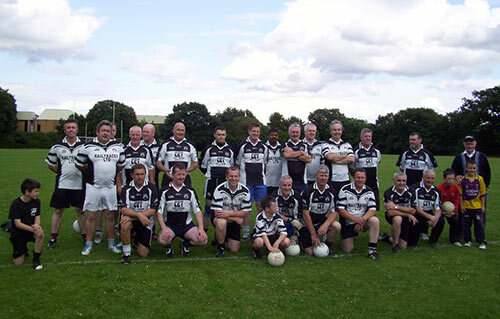 St. Kiernan's is one of London's most progressive GAA clubs, catering for players of all ages. 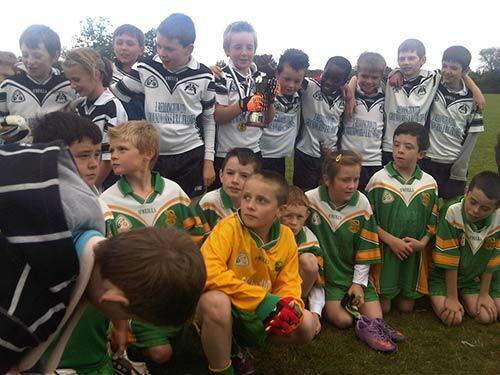 While it places a major emphasis on developing its own players and has won numerous underage championships since the early 1990s, St. Kiernan's is always keen to recruit new players and to make any player who has just moved from Ireland feel at home. Now 37, Mort came through the underage system in Knocknagoshel and had played one season of senior football - alongside the likes of Jack O'Connell, Eamonn Walsh and Sean McElligott who represented Kerry at senior level - before deciding to pack his bags and start a new life in the English capital. He played a season with the Kingdom GAA club (which subsequently amalgamated with Kerry Gaels) before taking a break from football for a few years. "You could say that work and socialising took precedence over the football for a while! he smiles. 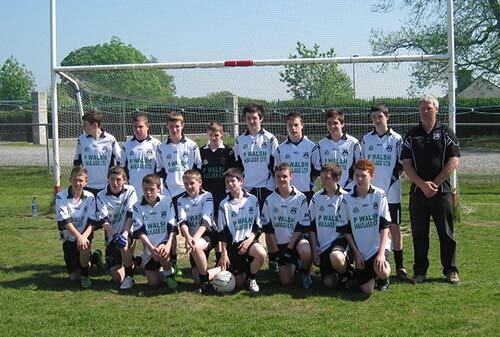 When Reidy joined St. Kiernan's, they had just won the London JFC and were an emerging force. In his first year with them, they won the London IFC, a feat they repeated in 2009. They've contested SFC semi-finals in each of the last five years, only to lose three of them to current champions Tir Chonaill Gaels and the other two to Parnells and Neasden Gaels. St. Kiernan's have also lost two Division 1 league finals in recent years, but have had the consolation of winning Conway and Tipperary Cups. "Since coming back up from intermediate in 2010, we've been knocking on the door hard, but it hasn't opened for us yet. Despite losing five senior semi-finals in-a-row, we remain as determined as ever to win our first senior championship, says Mort, who served as a selector under manager Tony Griffin this year and continues to line out for the club's reserve team (he played his last senior game three years ago). The Kerry man is extremely proud of St. Kiernan's buoyant underage structure which has produced several players for the senior team. "Our senior team is predominantly made up of home-grown talent. Unlike other clubs, we are not relying on players coming over from Ireland to boost our numbers, he explains. "We have very solid structures, fielding teams from U6 upwards. The club identified many years ago that having their own underage system was the best way forward and it has stood them in good stead. We have hundreds of kids from all kinds of backgrounds training with us at our Mill Hill grounds, which are owned by Mill Hill Rugby Club. In the same year as he joined St. Kiernan's - 2001 - Mort joined forces with Upperchurch, Co. Tipperary native Patrick O'Leary to establish ROL Construction in St. Alban's, Hertfordshire. Specialising in ground works and reinforced concrete, the company has grown to employ 120 staff and has seen its turnover increase year-on-year. ROL is capable of completing reinforced concrete projects on a large scale to budget and on time with a motivated group of directly employed skill labour experience and a dedicated management team along with the use of latest formwork materials. Clients return to ROL time and again for all their ground works and reinforced concrete needs. Mort is married to Kilburn lady Fiona, whose parents hailed from Cork. The couple have two young children - Cara (six) and James (three).